Airports Authority of India (AAI) is all set to fill the 384 vacant positions of Graduate, Diploma Apprentice. The organization wants to hire proficient and suitable aspirants for said positions. Through AAI Apprentice 2019 notification, eligible aspirants have been called to fill and submit an online application form for the said vacancies. Four years degree in Engineering or three years diploma in concern filed. After going to the home page you are advised to go to “Announcements” section and hit on the “Apprenticeship notification for Airports Authority of India-RHQ NR, New Delhi. The last date to apply 17-Feb-2019” link. Notification details of AAI Apprentice 2019 notification will appear at your screen read the details and match the eligibility norms. Recheck the form and submit it. Finally, take a print out of the submitted application form for future reference. 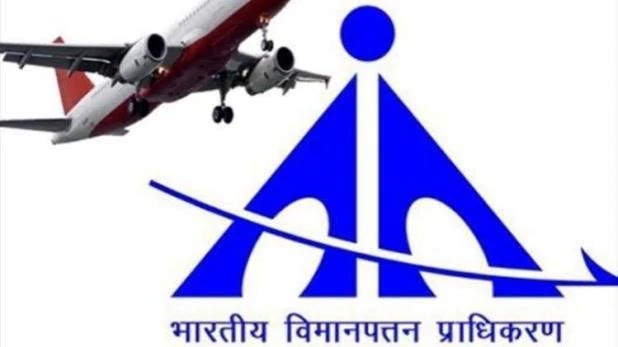 Airports Authority of India has proclaimed an official notification named as AAI Apprentice 2019. Through this employment notification, an authority has announced 264 vacancies for the Apprentices post. It is a wonderful chance for the individuals who want to get a job in such a reputed organization. So individuals are recommended to apply for the apprentice’s job on or before 18 February 2019. In order to apply aspirants required to submit an application form in the offline mode. The application form is available on this page you can get it by hitting on below provided a direct link. In addition, we have also stated some simple steps to submit an application form. You are advised to go through this page and get all the important information regarding AAI Apprentice 2019. Graduation/Post graduation/ Diploma /A Certificate in Vocational Course in concern field as per the post requirement. From the home page, you require to select an appropriate link for the AAI Apprentice 2019 notification. Download the application form for the below section of notification. To Airports Authority of India, Regional Headquarters, Western Region, integrated Operational Offices, Recruitment Cell, 4th floor, New Airport Colony, Hanuman Road, Vile Parle (East), Mumbai- 400099 on or before 18 Feb 2019 06:00 PM.